1. An ice cube tray complete with a silicone lid to prevent any water from spilling out. PLUS! The lid makes it easy to stack things on top of it. Psst, this ice cube tray is dishwasher-safe! 2. 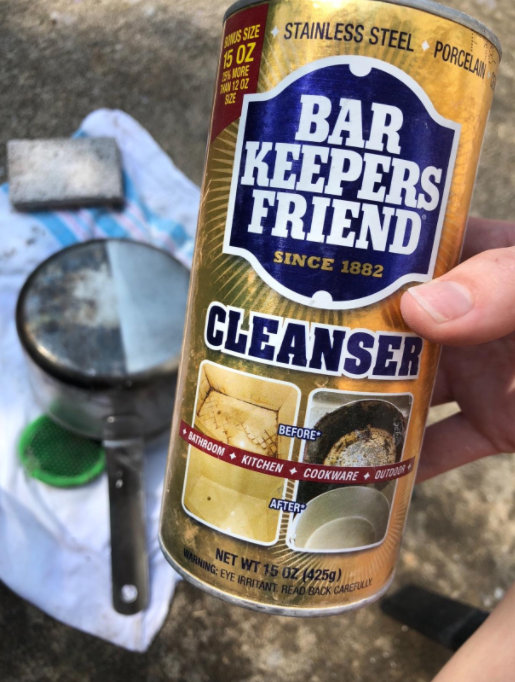 A non-abrasive cleansing and polishing powder — it'll be perfect for porcelain, copper, glass, tile, stainless steel, plastic, and brass. Promising review: "Yes! This turned my nasty yellow bathtub white again! I don't have to keep my shower curtain closed anymore while I have guests come over because I don't have to be embarrassed by my tub. You do have to scrub, but it WORKS and I'm really happy with the result!" —Cassie B. Get a pack of two from Amazon for $10.50. 3. A knife sharpener for knives that have gone dull over time. They can't even slice through a loaf of bread anymore, let alone a darn steak! This sharpener has a coarse and fine sharpening option, as well as a non-slip base. Get it from Amazon for $5 (available in three colors). 4. An odor-resistant, charcoal-infused sheet set that will continue to smell (and feel) fresh between loads of laundry — because let's be honest, who washes their sheets **every** week. Am I right? This set includes a flat sheet, fitted sheet, and two pillowcases (only one pillowcase if you're ordering the twin size). Get it from BuzzFeed's Goodful line, exclusively at Macy's for $32.50+ (originally $65). 5. Stemless wine glasses capable of surviving an American Horror Story-style apocalypse. These BPA-free babies are seriously shatterproof. These wine glasses are the kind that you'll ALWAYS want to keep on hand, because they're inexpensive and cant be broken into a million little glass shards. Just be aware that they're not dishwasher-safe (I'm sorry), and need to be washed by hand. Get a set of 12 from Amazon for $11.99. 6. 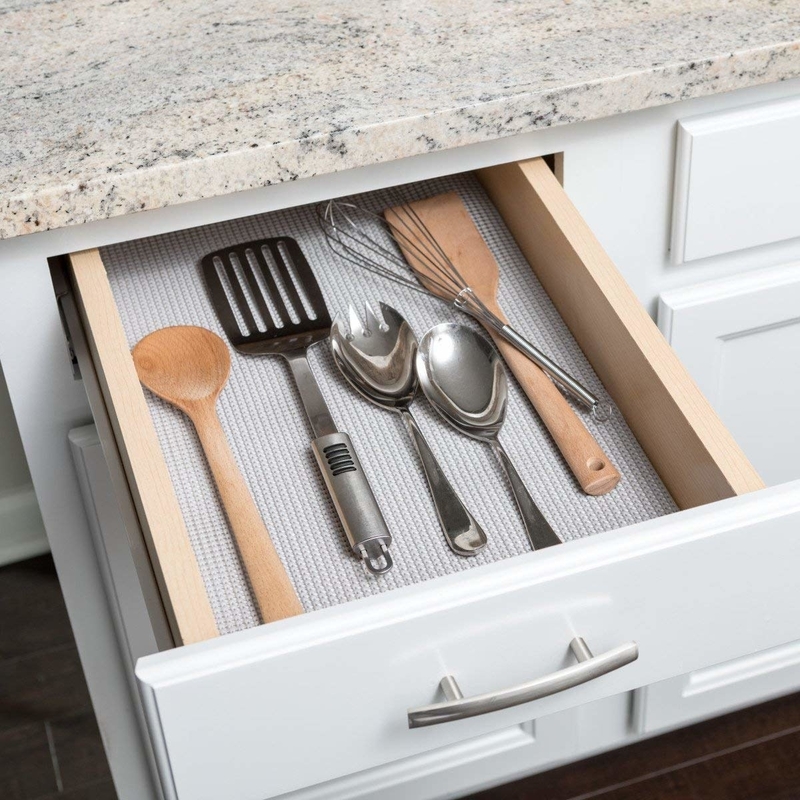 A non-adhesive shelf and drawer liner that is super easy to install. Just cut the size you need and BAM! You're done. Plus, these are machine-washable. 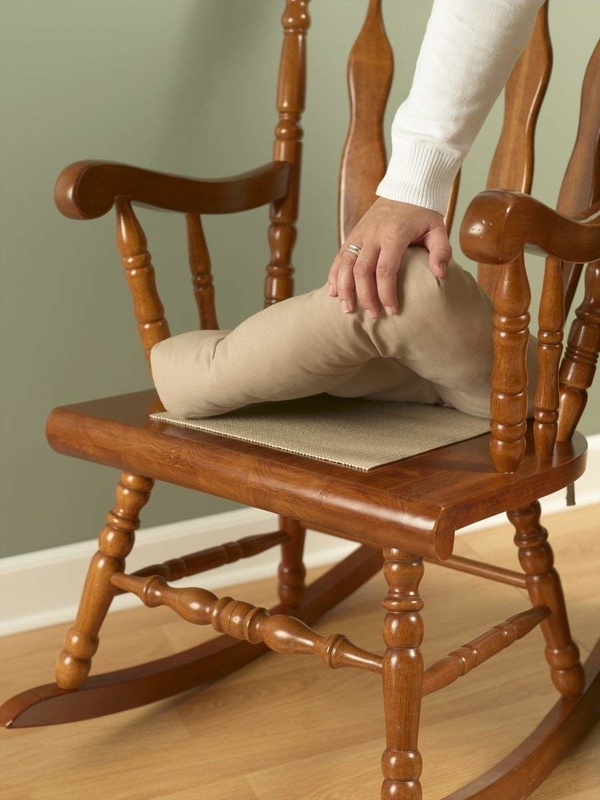 You can even slip this under seat cushions to ensure they stay in place! Get it from Amazon for $7.50+ (available in six sizes and seven colors). 7. A stainless steel whistling kettle so great, Kermit will refuse to sip tea brewed in anything else. This nifty thing is designed with an easy-pour spout, a stay-cool handle, and a removable lid that makes it SUPER easy to clean. Get it from BuzzFeed's Goodful line, exclusively at Macy's for $39.99 (originally $56.99). 8. A plant-based, natural stain remover basically inspired by Britney Spears' hit song "Non-Toxic." Incredible jokes aside — this product is tough on stains, but safe for your household. 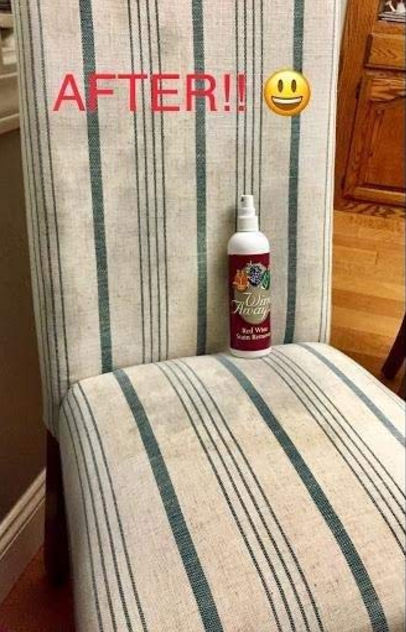 This can be used on carpets, dining chair upholstery, your clothes, etc. Promising review: "I had some super nasty dress shirts that I was about to throw away. No matter how much I washed them, my antiperspirant deodorant was caked up inside the armpits and actually smelled like someone with rank armpits just took it off (not me certainly!?). I put two squirts of this stuff under each armpit and rubbed for about 15 seconds each. Then I tossed all the shirts in the floor for the night, still wet. The next morning, I washed them, took them out of the dryer, and I couldn't believe that the shirts looked and smelled brand new. I love this stuff!" —Don K.
9. A stainless steel can opener with ergonomic handles and an easy-to-grip turning knob. In English? This is super easy to use and feels comfy + secure in your hand! This lovely can opener also has a one year warranty, in case anything unfortunate happens to it! Get it from Amazon for $11.52+ (available in five colors). 10. A compact dustpan and brush set you'll want to keep in your kitchen. This will allow you to quickly sweep up alllll that Cocoa Puffs cereal you spilled, but it won't take up as much space as a boring regular-sized broom. Promising review: "Such a simple concept. Genius! It's difficult to find the perfect dustpan, but this is it. The brush has an angled tip that gets into corners, but the best part is that the small strip of rubber that edges the pan actually lays flat, unlike countless other brands I've tried. I am no longer chasing crumbs around the floor!" —L. Get it from Amazon for $6.15. 11. Non-stick silicone baking mats that get rid of the need for oil and cooking sprays. Give a gargantuan GOODBYE to ruined cookie sheets, folks. Get a pack of two from Amazon for $8.37. 12. A mounting bracket to give your TP a permanent (and pretty darn pretty) home. Get it from Amazon for $10.99+ (available in two colors). 13. 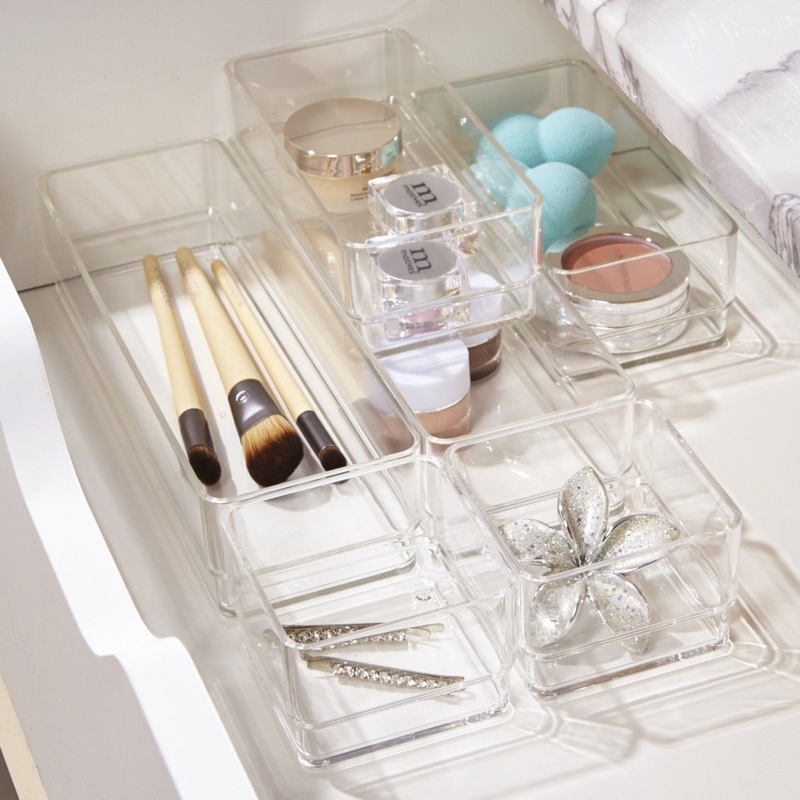 Clear plastic trays you can use to organize every nook and cranny in your house. Junk drawers? Consider them a thing of the PAST. Get a set of six from Amazon for $14.99. 14. A cold brew maker with an airtight lid and stainless steel filter that will keep your coffee fresh for up to two weeks. No more paying unreasonably high prices for your favorite cup of Joe! Just add up to six tablespoons of your go-to coffee beans into the filter, fill it with water, and leave it in the fridge for up to 24 hours. Then, remove the filter from the pitcher and — BAM — you've got some delicious coffee. 15. Gorgeous, stackable storage baskets perfect for storing everything from bath towels and bath bubbles to art supplies and stuffed animals. Get a set of three from Amazon for $19.95. This set serves four people! Get it from BuzzFeed's Goodful line, exclusively at Macy's for $78 (originally $130). 17. 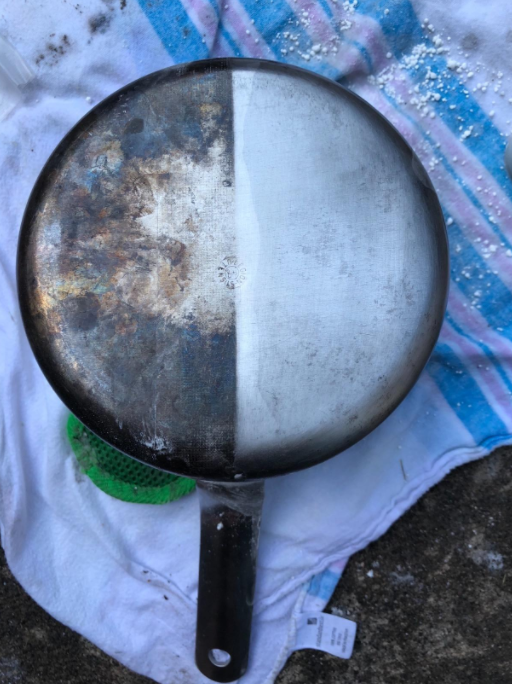 A stainless steel cleaner not intended to clean the man of steel. You still need to shower, buddy. This cleaning spray comes with a handy dandy microfiber cloth and will leave all your stainless steel appliances glowing. This even helps prevent fingerprint smudges! 18. 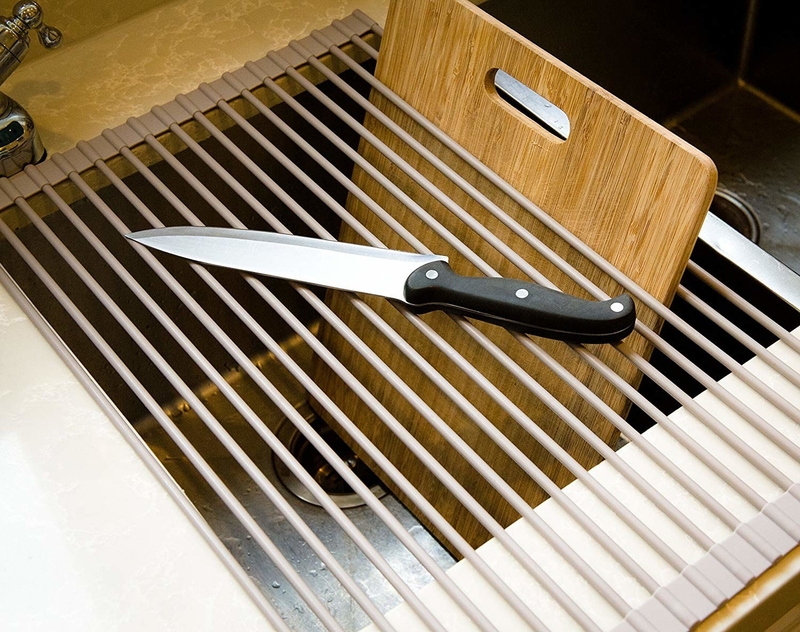 A drying rack that is a must-have for teeny tiny kitchens. This dish drainer can (fruit) roll up when not in use! 19. A dishwasher-safe stainless steel peeler capable of peeling potatoes (for your french fry dinner, of course) with speed and ease. This peeler can also work on carrots, zucchini, and whatever heckin' other vegetable your nutritious self enjoys to eat. 20. An ice bucket designed with double wall insulation. In English? You will have 1) no messy condensation, and 2) your ice will actually remain ice for up to six hours. Psst, this also comes with tongs! 21. A ceramic cookware set complete with all the tools you need to make any and every delicious dish you have seen prepared on the internet. HELLO, BUZZFEED TASTY VIDEOS!!! This set can handle temperatures that are hotter than Hades (they are oven safe up to 450°F), are made with a non-stick coating that makes 'em easy to clean, and YES! They're dishwasher-safe. So what does this cookware set include? A fry pan, a saucepan with a lid, a grill pan, a saucepan with a lid, a jumbo cooker with a lid and a helper handle, a dutch oven with a lid, and a recipe booklet! Get it from BuzzFeed's Goodful line, exclusively at Macy's for $150.49 (originally $214.99). 22. Velvet hangers that will save a RIDICULOUS amount of space in your closet. These non-slip hangers are super thin, but sturdy enough to hold all your favorite pieces of clothing. Get a pack of 30 for $16.99. 23. 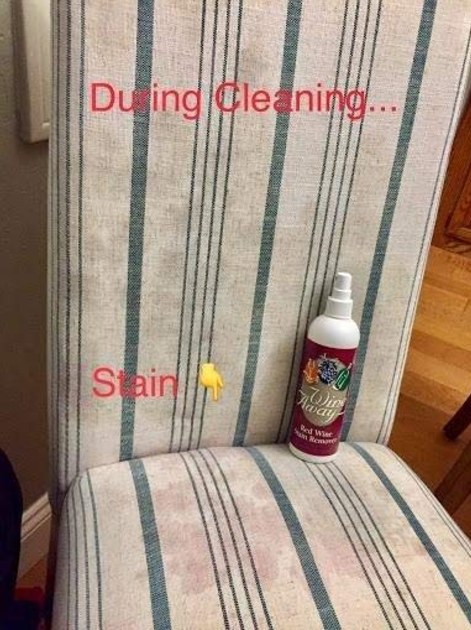 A wine stain remover for when your red, red wine doesn't want to stay close to you. Give it some space. Get it from Amazon for $6. 24. An extension cord perfect for any home that has outlets in the most inconvenient of spaces. Raise your hand if you have two (!!!!) outlets behind your bed like I do! Get it from Amazon for $5.09. 25. A 45-piece flatware set with a sleek, simple design that coordinate well with any color dish. And HECK YEAH, these stainless steel puppies are dishwasher-safe. This set includes eight dinner knives, eight dinner forks, eight salad/desert forks, eight soup spoons, eight teaspoons, one serving fork, one sugar spoon, and one butter knife. Get a 45-piece set from Amazon for $49.97. 26. 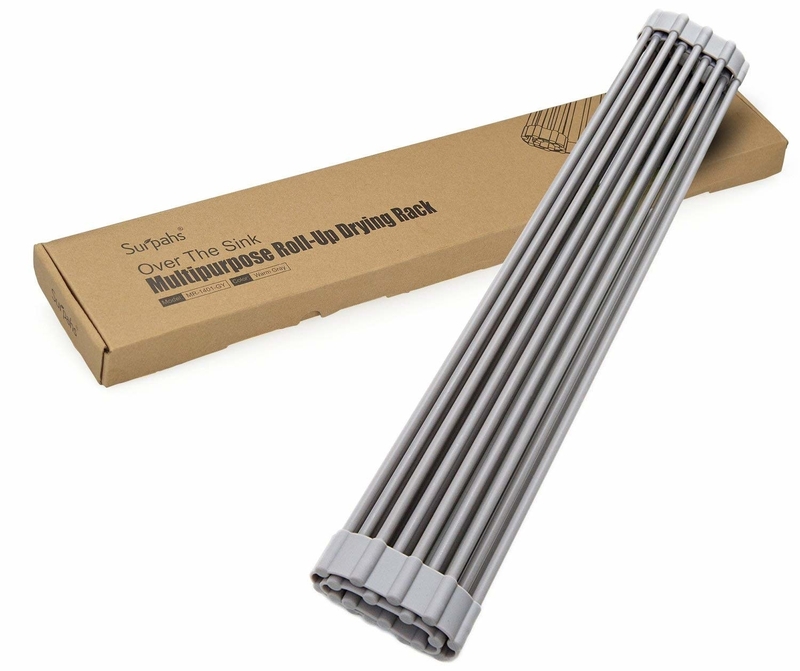 A stainless steel paper towel holder complete with a weighted non-slip base, meaning it won't move every single time you go to grab sheet. 27. A waterproof tray to prevent muddy footsteps from ever approaching your hardwood floors. Maybe Adora from Sharper Objects should have invested in one of these, eh? 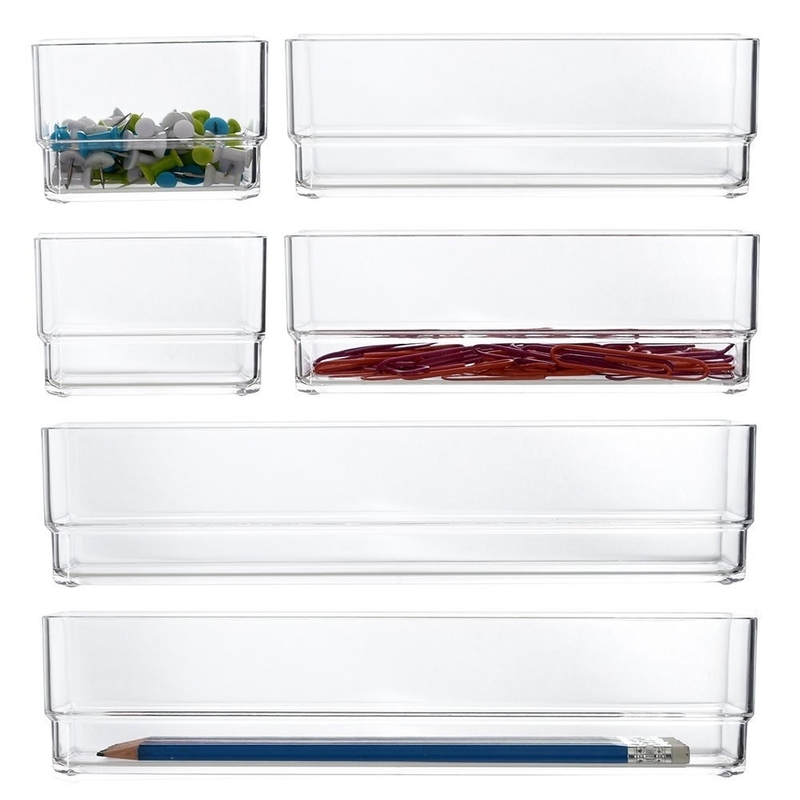 This multi-purpose tray is perfect for both indoor and outdoor use! 28. An angled measuring cup so you don't have to crouch down (and inevitably spill whatever it is that you're holding) in order to see the ~exact~ ingredient amount you're pouring. Promising review: "If you're going to get excited about a measuring cup, it might as well be this one. Designed with consumer habits in mind, the angle of the cup makes it easy for you to measure out liquids by looking directly into the cup as you pour; no more cocking your head to the side! This measures by the cup or by the ounce, it's dishwasher-safe, lighter in weight than your traditional glass cups, and has a great handle grip which allows you to keep a handle on things (no pun intended). Durable and still looks brand new after two years of heavy use. This is your cup!" —Drea A. Get it from Amazon for $7.99+. 29. A stovetop moka espresso maker that'll deliver you a cup of caffeinated deliciousness in less than five minutes. Heaven is at your fingertips, folks. Plus, this was made in Italy AKA it has to be amazing. 30. A coat rack complete with a shoe rack and 10 hooks to keep your entryway nice, neat, and clutter-free. Use this to hang coats, scarves, hats, handbags, and more! Get it from Amazon for $79.99. 31. A splurge-worthy dish rack that is truly *chef kisses fingers* perfect. It's rust-proof, can hang four (large) wine glasses, includes a drainage system for excess water, and it's FINGERPRINT-PROOF. This is one of those purchases that you will never ever regret. Get it from Amazon for $49.99+ (available in two sizes).